Using business as a force for good, B Corps meet rigorous standards in social and environmental performance, transparency, and legal accountability. We’re proud to be part a growing community of more than 2000 Certified B Corps from 50 countries and over 130 industries, working together to redefine what success in business really means. 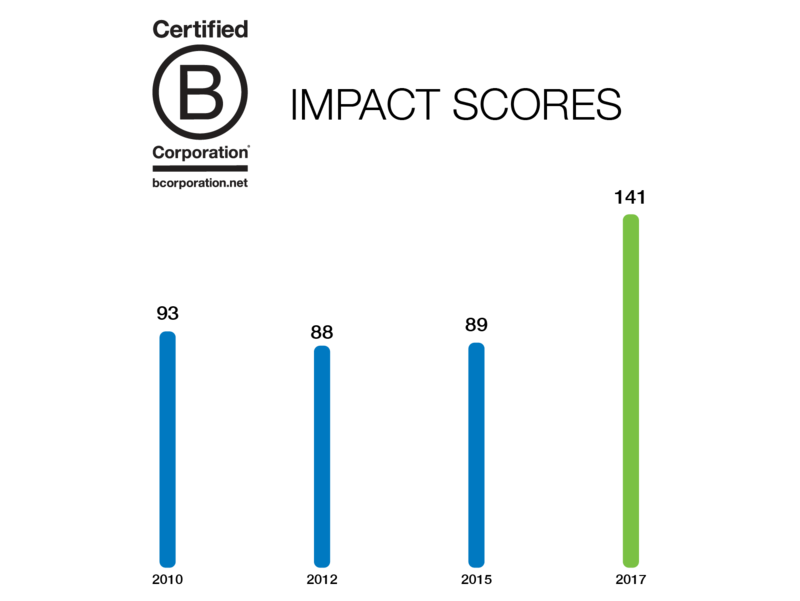 To become a Certified B Corp requires completion of the B Impact Assessment; a rigorous and thorough audit that measures how our company performs against best practices. The B Impact Assessment assures that we meet certain standards in five areas; environment, workers, customers, community and governance. To maintain B Corp certification the Impact Assessment is conducted every two years.